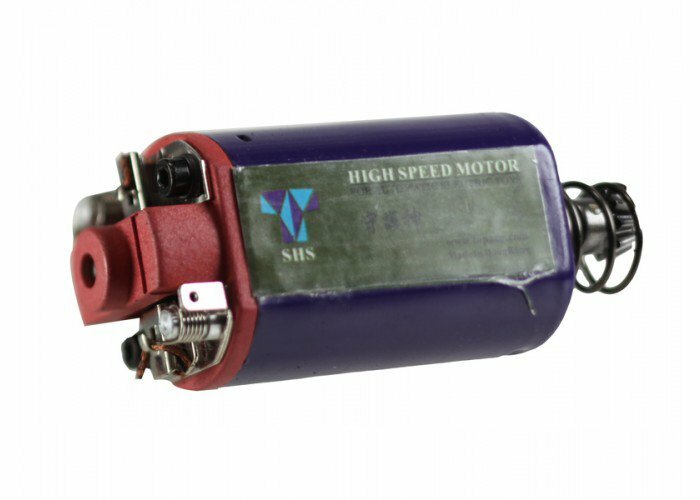 The SHS High Speed Motor is a quick and affordable way to increase the rate of fire in most airsoft guns. Although this motor is designed for airsoft guns with a velocity below 380 FPS, the magnets produce more than enough torque for M120 Springs. The increased torque will allow for a quicker trigger response. Keep your airsoft gun in top condition with the new SHS Motor. It is suggested to make sure a technician tunes the motor toward your airsoft gun's specifications to get the most out of this model.